"A country that has been bombed with half a ton of explosives for every man women and child" - now you think that they would be seriously pissed off by all this but no... everywhere you go 'SABIDEE' (hello!). Goddamn they are the friendliest people I've met so far! 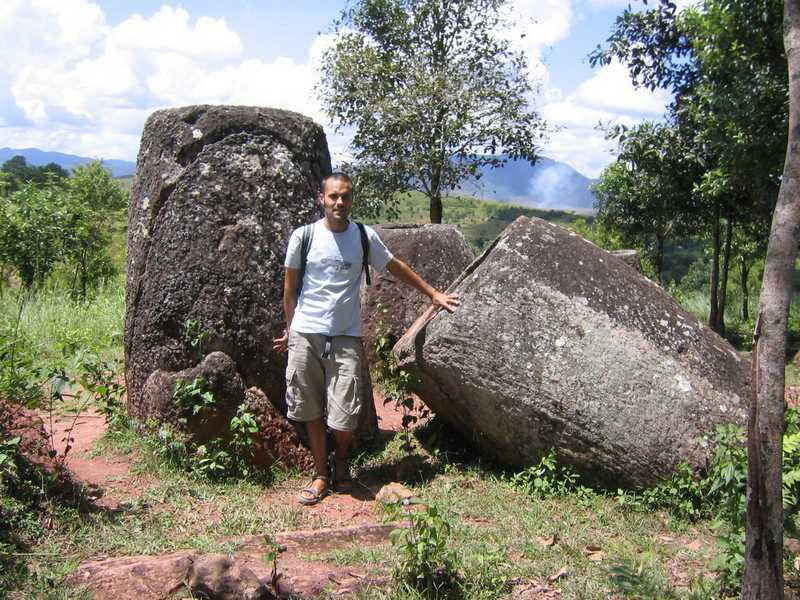 Pictures include The Plains of Jars, a brand new drinking game, Vang Viang, the most beautiful swim spot I've ever seen! I started in the capital - Vientiane. To be honest, this is a dull start from an otherwise fascinating country! 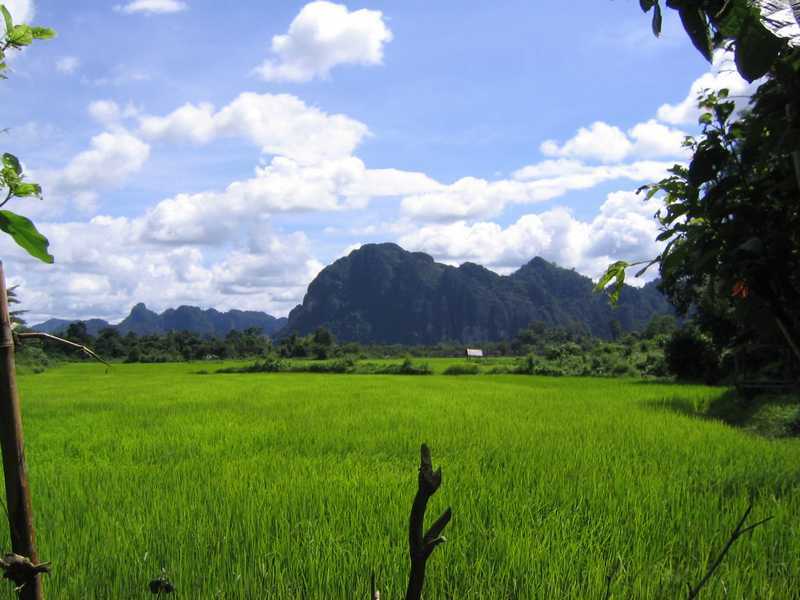 I quickly moved onto Vang Viang - the countries backpacking tourist spot. Here there are all sorts of activities available from tubing down the local river to rock-climbing and pot-holing. Needless to say I sat on my arse, drank some Beer Lao (good stuff!) 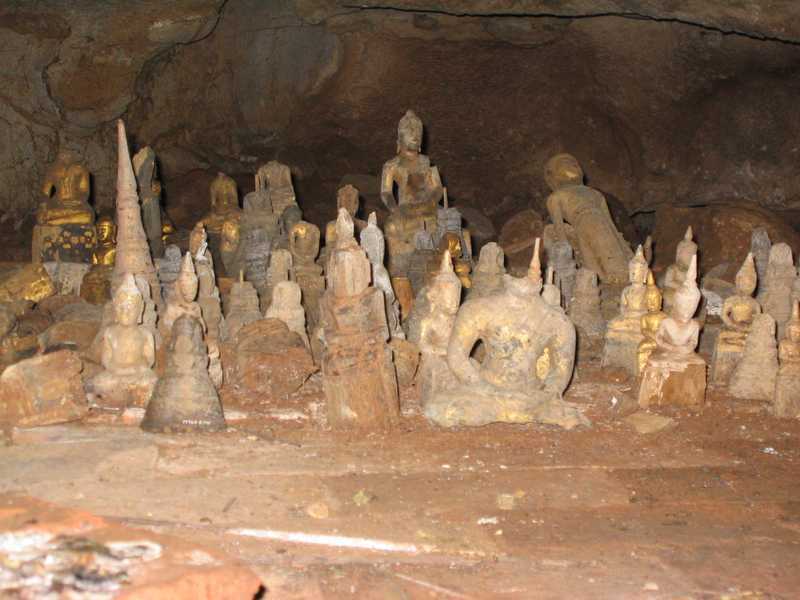 and visited a couple of caves. One interesting night out ended in a club full of locals... here I experience the finest banging laos techno (backstreet boys songs played at light speed) mixed in with some britney and linedancing songs! It was crazy watching all of the laos locals linedancing away (badly) to some country music crap! After Vang Viang I moved onto Louang Phabang which is a 'World Heritage Site' (as it likes to remind you every five seconds). A quaint little town with some nice views, sat on the Mekong River. It, like Vang Viang is over-run with tourists! 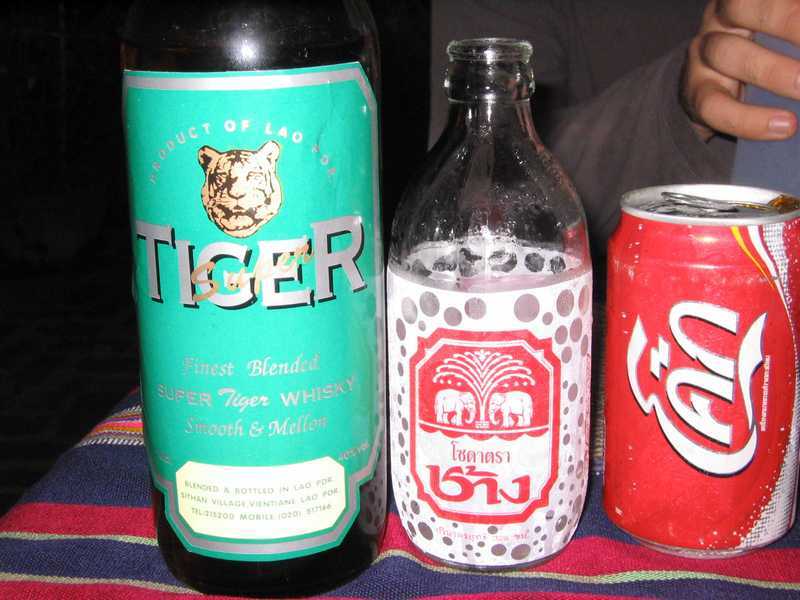 Here I met some other Farang (foreigner) and we went on to create perhaps the greatest drinking game known to man (no name, vague rules)... well we at least finished off the supplies of Tiger Whisky of the restaurant so they had to run out for more! Well, as you can see from the map didn't 'do' as much of Laos as I could which means one day I'll have to go back.. I hope they have the bandits under control by then!